We aim to provide our clients with the most benefiting and ideal website to connect with their customers. We understand that the way a website is developed, determines how efficient it would be! At Soft System Solution, we work with a team of experienced website developers, who work to create unique platform to help you progress swiftly with strong web presence. Adhering to the top quality standards and always striving for the excellence in the website development area, is what our company does. What are the key aspects of our website development services? Web strategizing: It is connected with combining together visitor’s requirements and company’s goals. What most of the web services now a day end up doing is just emulating other website, resulting into flood of copying same problems. Whereas, we do the task of creating an intelligent site strategy, followed by the development of an intellectual site map. The strategy is then followed by the other members of our development team. Integration with database servers: Web development is for adding dynamism in websites. While using Jquery, PHP, AJAX or any other language for web development, it has to be backed up with database like MySQL. The choice of database service would depend on web applications that need to be created. The whole procedure begins with planning, creating, testing and them implementing applications. 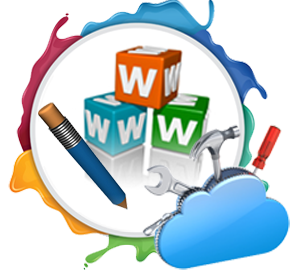 The complete process should create a website which requires least maintenance on the client part. What makes us an authority in web development arena? Our strength comes from staying up to date with latest web constraints, technological advancement and ensuring compliance with newest web standards. The development team at Soft System Solution goes with latest industry trends and technology to put together the most promising and top-notch websites for your businesses.